Perfect destination for tourists, family, executive groups for local events or simply just a weekend away. Quiet location, yet close to city - 4.2kms. Queenwood Boutique shops, Jam Cafe, Dairy, Takeaway - 200m. Walking distance to Chartwell Shopping Centre, Movies, Food Court - 1km. Close to Riverside Cycle/Walkway - 1km - this shared walkway runs for 10kms through central Hamilton along banks of Waikato River. Bicycle/Helmet provided on request at Booking. Set in private garden with BBQ area. An established home but comfortable and cleaned and cared for by hosts who live locally. No social gatherings over the number of guests booked andamp; house is not to be used for parties or for illegal purposes. No additional guests to stay. Premises are to be locked including windows when guests out andamp; on departure to be left in a good state. No Smoking inside house or on Property. No candles to be lit inside house. Lovely place to stay. Wonderful hosts. House was warm and plenty of space for our large family. Great location and very spacious house. Really enjoyed staying there. 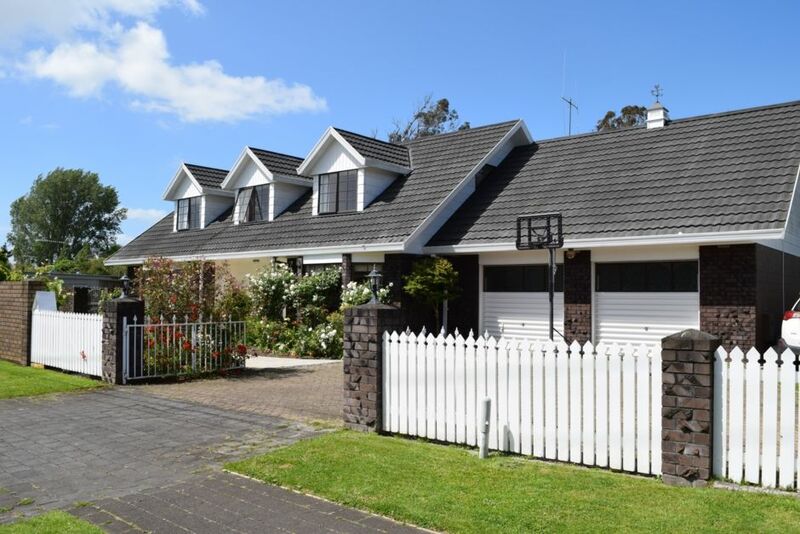 Beautiful home with lovely garden situated in Hamilton East, close to shops and malls. Host met us upon arrival and showed us through the house which is well kept and neat. Hi great having you stay! Queenwood House is in Queenwood area of Hamilton, not Hamilton East. Thanks. I booked this house for my family during our wedding and they said the place was amazing and the garden was lovely too. Beautiful house with everything they needed and close to everything. So pleased Queenwood House suited your family. Congratulations on your Wedding! We had such a great experience staying here. Comfortable beds and a very spacious home! A beautiful ‘homely’ feel that wasn’t too far from anything. 100% recommend (the family all loved it too) Thank you Therese! So pleased Queenwood House suited you all...always my aim to make staying a great experience! This was a beautifully maintained property with everything you could need. There were even fresh scented roses in a vase from the lovely garden. The owner met us and showed us round and had even put some breakfast items in the fridge for us. We were so impressed. Beautiful outdoor setting for meals and a barbecue. Lots of space for 8 people in the 5 immaculate bedrooms. We loved it. Excellent guests! I'm pleased your experience was a positive one as that is my aim! Welcome back anytime!